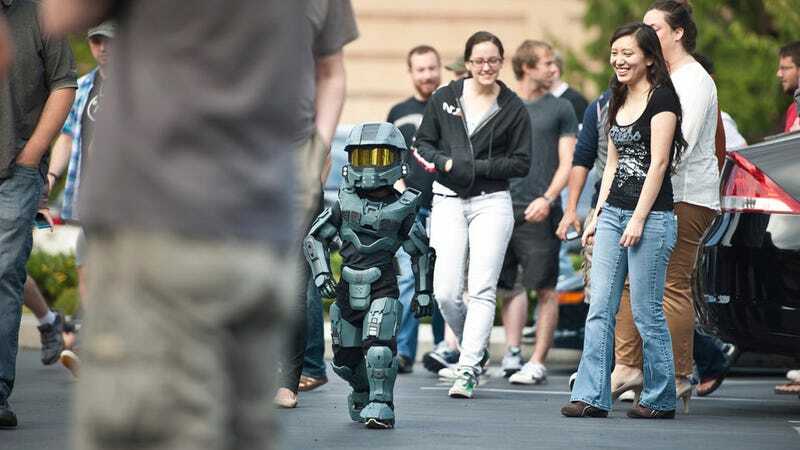 This shot of the world's cutest Halo cos-player popped up on IGN Deutschland's Facebook feed last night. It was making the rounds at least a few weeks before that. Origin unknown, but too adorable not to share. UPDATE: Origin discovered! This photo was taken by Will Christiansen of Halo 4 studio 343 Industries. Check out his portfolio. Lovely work, Will!